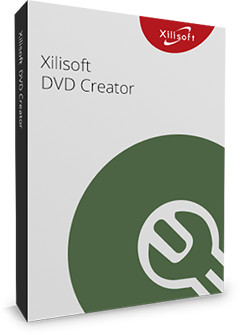 Burn DivX or XviD (.avi) video files to Home DVD with Xilisoft DivX to Home DVD Converter. High audio and video quality is maintained even after burning into DVDs of different formats or capacities. This DivX to Home DVD converter also converts DivX and XviD files into Home DVD folder or ISO image file. Special Home DVD tools and features include creating Home DVD menu, clipping a video segment, cropping video frame, adding watermark and even modifying the video effect to assure you customized DivX to Home DVD conversion. 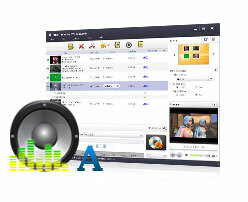 You may also create a Home DVD with multiple subtitles and soundtracks. Preserve precious video collections by burning them to DVD with custom menu, effects, audio tracks, subtitles, etc. One-click DivX to DVD Converter to burn DVDs with high audio and video quality. Convert DivX to any DVD (DVD-R, DVD+R, DVD-RW, DVD+RW, DVD-5, DVD-9), or even DVD folder and ISO image file. Multi-threading multi-core processing and batch conversion mean faster converting and burning speed. A selection of menu templates are available for you to customize your DVD menu; attach background picture or music, theme or video clip on your DVD menu to make it more personalized. And the menu templates can be downloaded. The DivX to DVD burner allows you to clip a video segment and set it as video thumbnail on your DVD menu, you may also use a static picture as thumbnail. You can enable "Skip Menu" to directly play main movie of target DVD. Clip a DivX video to remove unwanted scenes and merge beloved parts together for burning to a DVD. How to convert DivX to DVD with special effects: The DivX to DVD converter enables you to crop the video size, set artistic effects and also add text or picture watermark to make your DVD more personal. Diversify your DVD by adding several audio tracks and subtitles when burning DivX/XviD to DVD. Preview edited video file with the built-in player; view both original and edited videos side by side for comparison. Modify video/audio quality, bit rate, television standard, aspect ratio, resize mode, channel, and sample rate to create DVD. Automatically create chapters in each title by specifying a interval in advance. 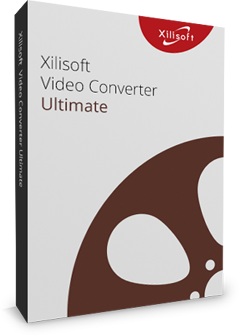 Set an action (shut down, hibernate, standby or exit) to auto perform it after a task is done to avoid waiting and wasting time; run Xilisoft DivX to DVD Converter in the background to save CPU resource. Choose from different skins and languages (English, French, German, Japanese and Chinese) to customize your interface.